Whether by paintbrush, a cello bow or a customized sports car, French-American artist Duaiv knows how to please a crowd. 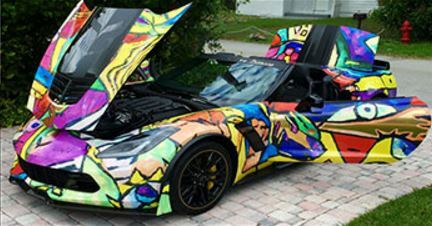 Duaiv’s oil painting, created this year, served as the basis for a customized wrap for a Corvette Z06 C7R Special Edition. The painting was on display at the 46th Annual Miami International Auto Show with the special Corvette. Duaiv, who resides in Fort Lauderdale, Florida, is an internationally-renowned artist and cellist. As such, his tribute includes depictions of musical instruments. 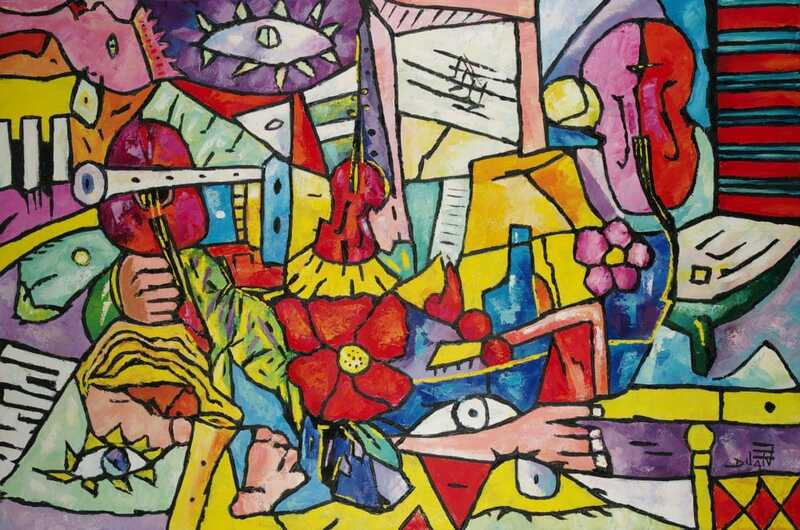 His other tributes to Picasso have included an interpretation of the famous “Guernica” painting and multiple portraits of the famous Cubist. Duaiv’s artistic acknowledgements of well-known artists do not stop with Picasso. 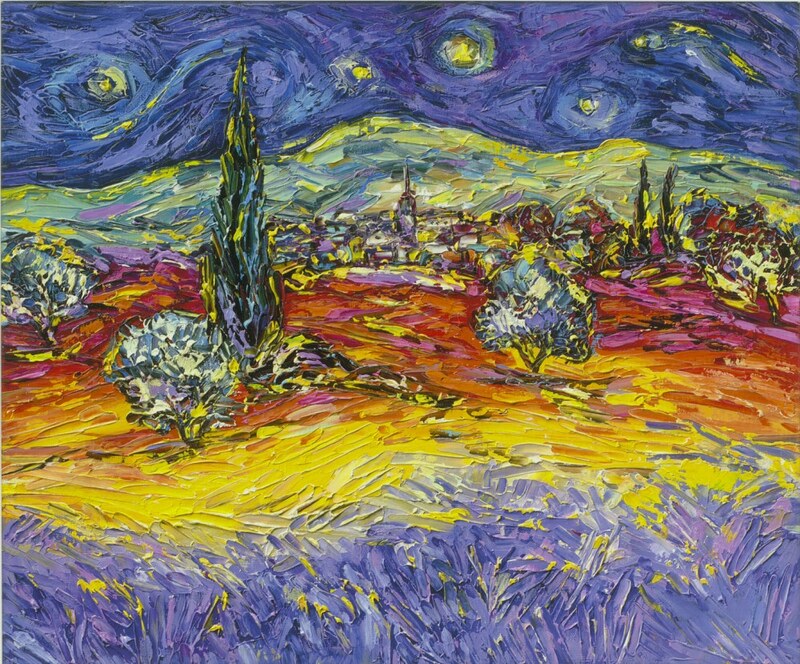 He often pays tribute to Van Gogh by painting in his Impressionistic style, and has painted portraits and landscapes referring to Salvador Dali. Duaiv met Dali when he was 23 years old, where the creative genius encouraged Duaiv to become a full-time painter. Similarly, the Corvette is not the only vehicle customized by a Duaiv wrap. His previous customized vehicles include a Lamborghini Aventador Roadster, a Ferrari 458 Spider, a Ferrari FF and a Porsche Targa 4 GTS. Duaiv was born in 1952 near the city of Bordeaux in France. He began creating art as early as age 3, and at 9 years old completed his first oil painting. His father encouraged him to learn the cello, but Duaiv never gave up on his art, eventually becoming a master of both art and music. He blends a palette of primary colors instead of relying on pre-mixed colors, and uses various palette knives to create his colorful artworks. 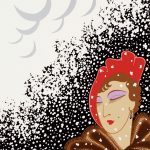 The art of Duaiv is collected and exhibited around the world, especially in France, Switzerland, Belgium, Spain, the United States and Austria. His artwork has been featured in Cannes, the Coconut Grove Arts Festival, Art Basel and on cruise ships across the globe with Park West Gallery. 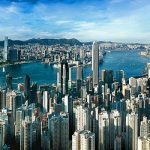 Be sure to view the Duaiv art collection available through Park West Gallery.